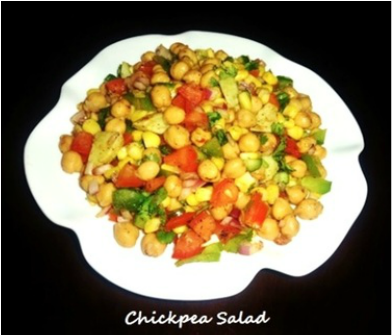 Chickpea salad is a flavorful quick salad dish and an awesome combination of vegetables. 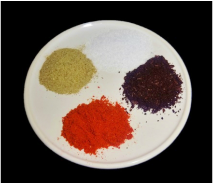 It is made with boiled chickpeas, cucumber, tomatoes, onions, capsicums, corn and seasons with aromatic herbs and spices. 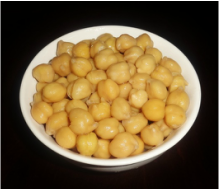 Chickpea also known as Garbanzo beans and in India it is known as chole or kabuli chana. Chickpea salad is extremely easy and no cooking involved, particularly good for lunch at the office or a weekend picnic since its best at room temperature. 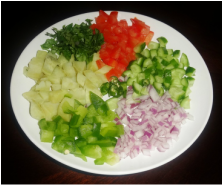 Chickpea salad is versatile you can add any vegetables, various beans, seasoning and dressing. 1. In a bowl add boiled chick peas, corn and all the chopped vegetables. 3. Sprinkle fresh lemon juice and toss the salad. 2. 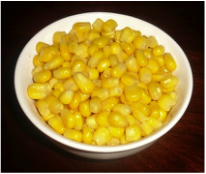 Canned chick peas and canned or frozen corn could be used for making salad. Fruit salad Quiona salad with strawberry..